Top shelf names have joined TEN’s upcoming drama The Wrong Girl starring Jessica Marais. They include Craig McLachlan, Hamish Blake, Kerry Armstrong and Madeleine West. Jessica Marais plays Lily, the producer of a cooking segment on a morning TV show, who finds herself torn between two men played by Ian Meadows (The Moodys) and Rob Collins (Cleverman). Based on the best-selling book of the same name by Zoe Foster Blake, the series is produced by Playmaker Media and set to air later this year. @Elizabeth. Don’t see why Offspring couldn’t be going to air while it was shooting. If they waited till they were finished shooting the whole thing to broadcast they wouldn’t be on air until maybe August. I’ve read the book and don’t get how the lead can be torn between two men. In the book she sleeps with her friend in the first 5 mins, he acts like a jerk and its pretty much done. The stuff with the chef comes later so there isn’t any kind of crossover. I realise that line is also in the newscorp article and things could change with the tv script but anyone who’s read the book and reads that line would be a tad confused. I hope Craig’s role is livelier than Dr Blake’s – gawd it was a boring character. Talk about sleep inducing. Looking forward to this. Great cast. Pleased to see Ten getting back to what they do best, drama. Free-to-air has seriously missed quality drama in recent years. IMO the only quality drama series on network TV least year was Love Child. Any word David on when season three will hit screens? Will be great to see Madeleine West and Kerry Armstrong returning to our screens. 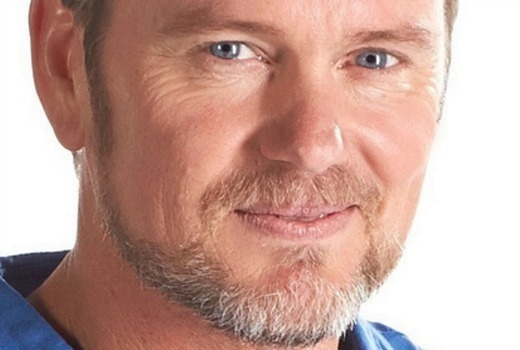 Gone are the days when one actor would appear on a show at a time, Craig McLachlan, Jessica Marais (and Rodger Corser who you recently had discuss the need for regular employment). Happy to see Craig back on our screens in a different role. When will it air David? I read yesterday Offspring is going into production on April 25th, meaning no return in their usual May start of previous years. Good to know 10 have two dramas in the pipeline.